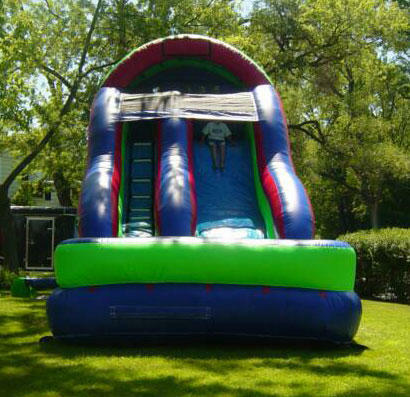 This giant 18ft inflatable slide can be used as a water slide or as a dry slide where water use is not appropriate. Either way this slide rental is pack with fun! 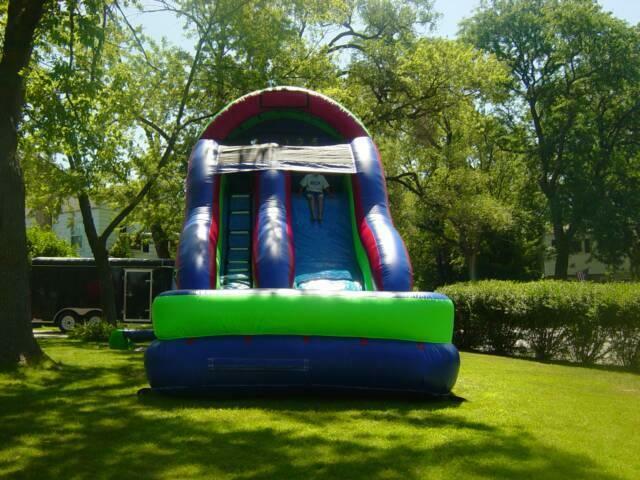 The 18ft wet/dry slide is great for all ages and party types. i.e., weddings, fundraisers, birthdays, family reunions, etc.